You need a tax deduction as we move to the close of 2014. There is a tiny baby girl in Florida about to show her beautiful little face who needs her Mommy, Daddy, Brother and Sissy. Your donation to Travis and Melissa’s adoption fund may be tax deductible. AdoptTogether.org is a project of Hoping Hearts Foundation Inc, a federally recognized 501(c)(3) charitable organization. Therefore, your donation may be tax-deductible. Please consult your tax advisor for specific tax advice. All the information you may need is on the “how it works” page of the adopttogether link above. Please consider whether this Christmas Miracle is one you can be a part of. 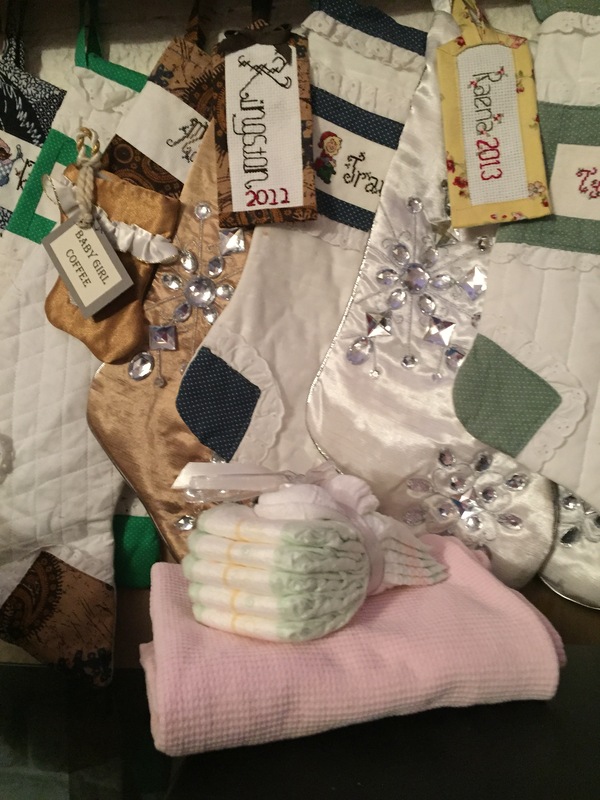 Yesterday, we hung Baby Girl’s tiny Christmas Stocking with Mommy, Daddy, Kingston, Reana and the twelve other Fisch who will be waiting for her arrival in WI just in time for Christmas.